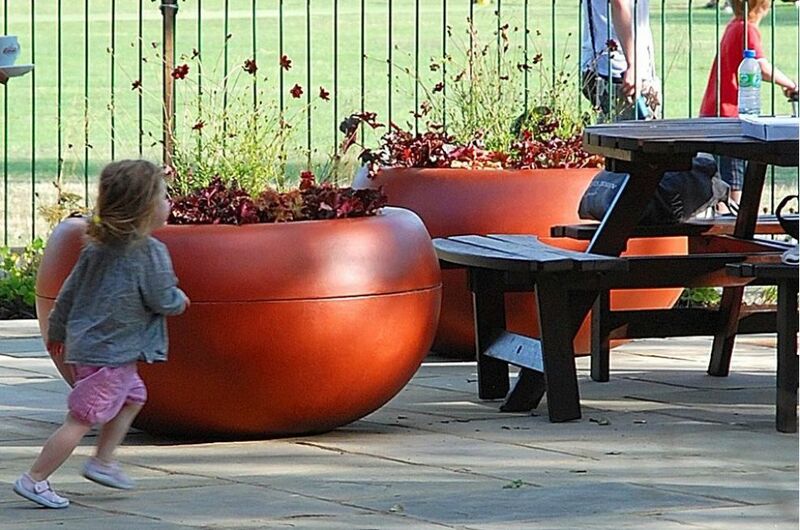 Custom-coloured ALADIN planters were commissioned by Westminster City Council for the Paddington Recreation Ground, the borough’s largest park. 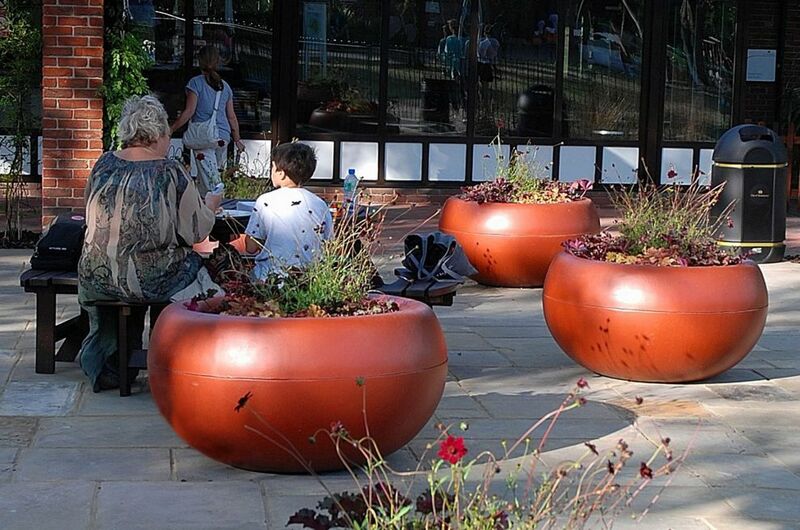 The planters were custom-coloured to RAL 8029 [Pearl Copper]. 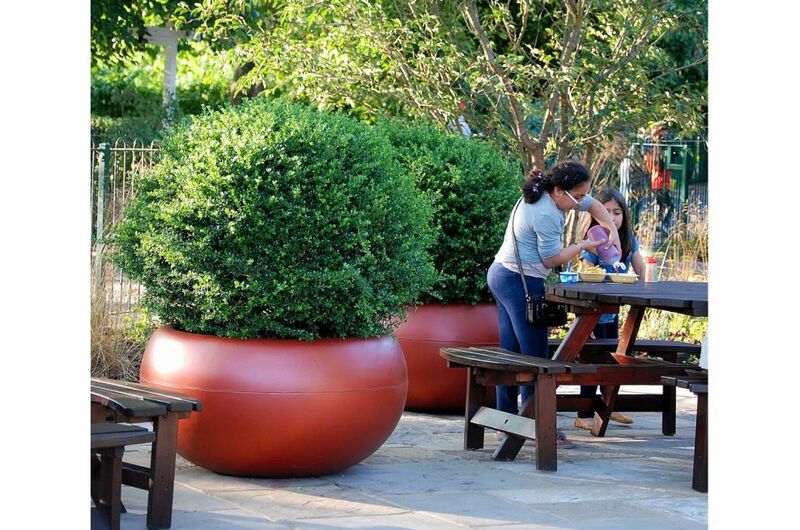 The planters chosen were 10 nr. 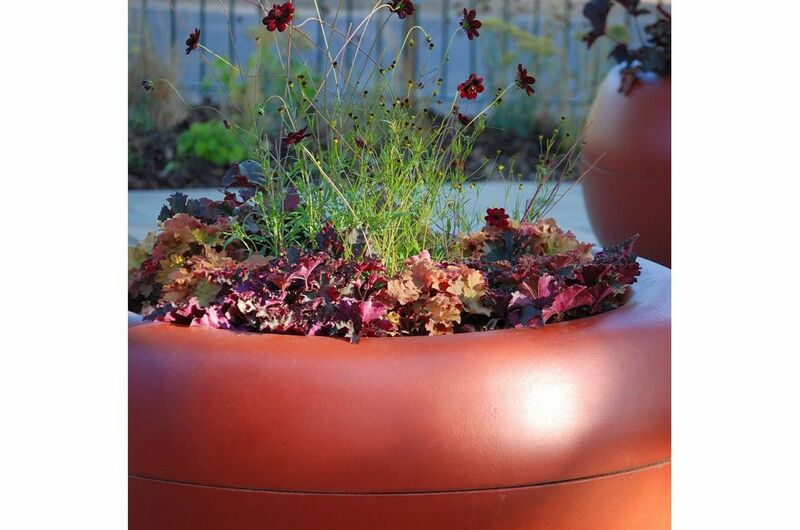 of the ALADIN 112cm design, a 400 litre capacity planter of diameter 1120mm and height 590mm. 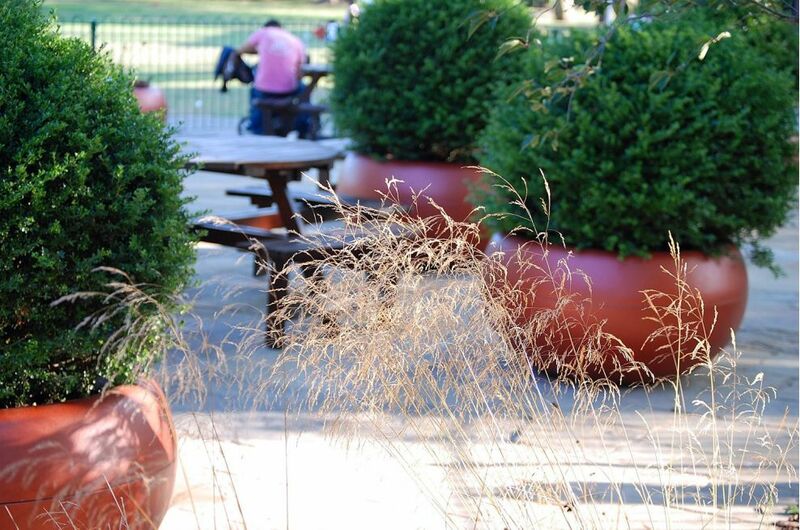 The planters were commissioned for the outdoor seating area of the park café; and the scheme was conceived by landscape and garden design company, Willmott Whyte. 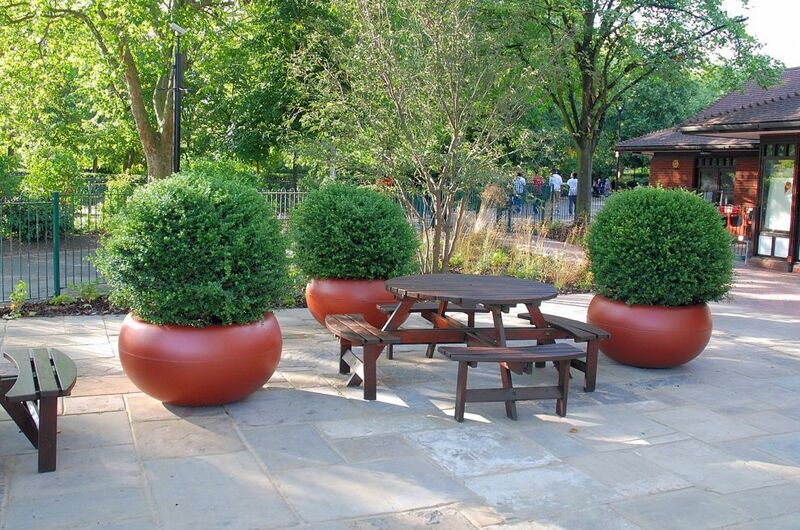 • An exceptional strength-to-weight ratio – planters are strong, yet easily-handled. 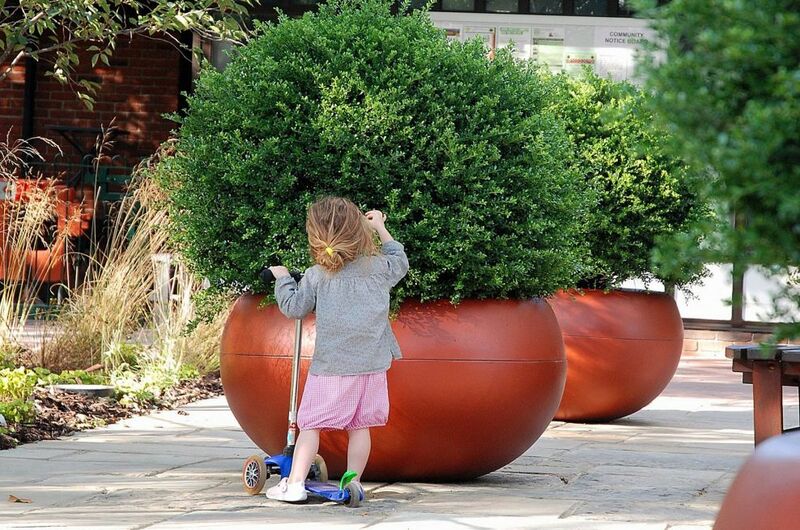 • Suitable for all environments, from public realm to weight-restricted interiors. • Guaranteed frostproof, and UV stable. • Can be finished to any RAL colour. • Certified Class A2-s1,d0 fire retardant. 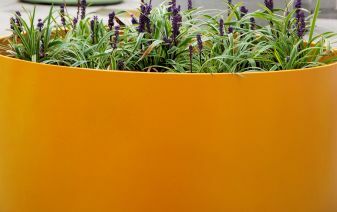 • Completely watertight, can be supplied with/without drainage holes. • Can be further drilled and modified on-site with standard tools. 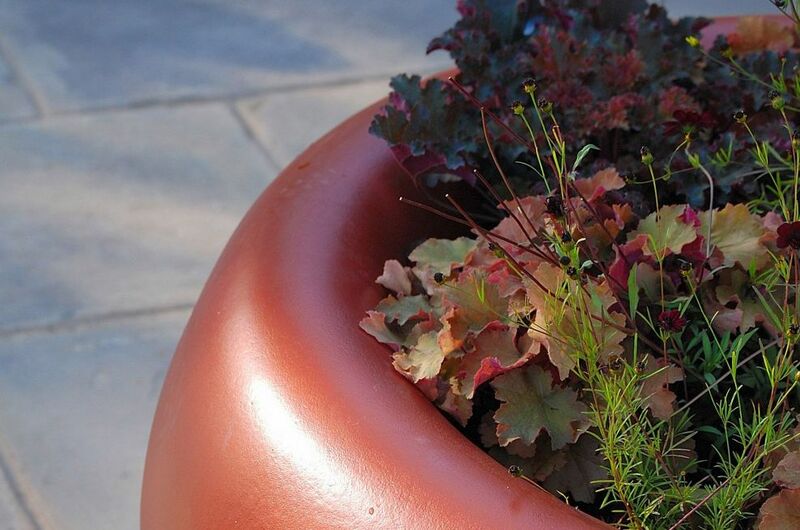 As the Boulevard FRC material can be easily modified, ALADIN planters can also be installed with anchoring systems, such as Platipus, and they are easy to connect to irrigation and lighting systems. 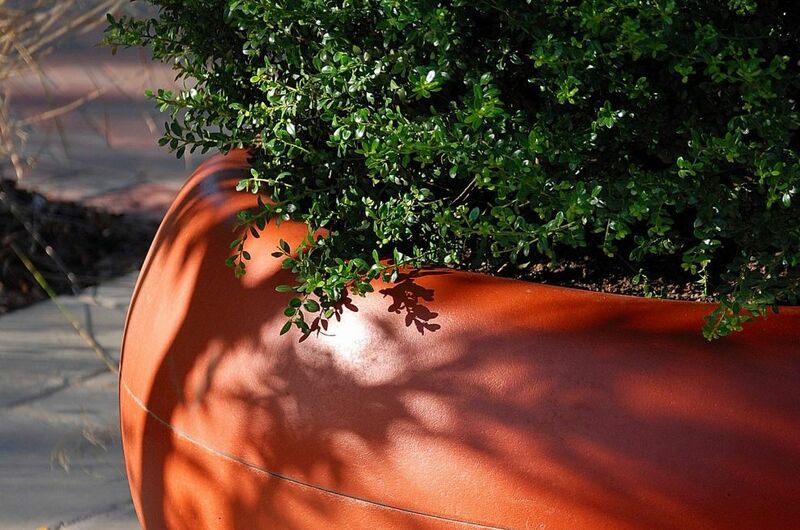 An internal reservoir system is supplied with the ALADIN planter as standard. The Paddington Recreation Ground is Westminster’s largest park, and occupies a 27-acre site set behind the mansion blocks of Maida Vale. 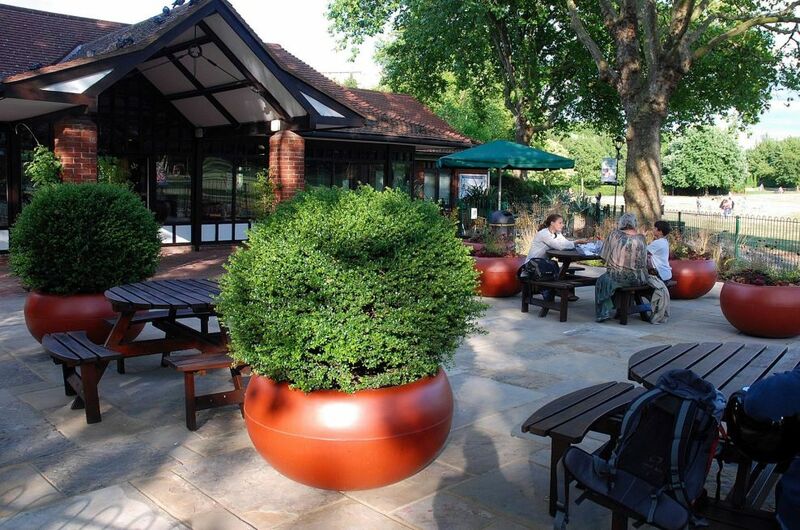 The park contains a central ‘village green’ and cricket pitch, a rose garden area and a bandstand. There is a large playground divided into older and younger children’s equipment, a park café, and an environmental area complete with pond; and sports facilities include tennis courts, cricket practice nets, pavilion and gym, running track, football and hockey pitches, and a bowling green and clubhouse.